Online marketing agency or agencies are helping a lot of businesses grow online. It is a common knowledge that many business professionals hire the services of internet marketers or some online advertising companies to help create and manage their online advertising campaigns while using various online advertising companies to advertise their businesses to create awareness, generate leads, increase conversions and increase sales and revenue. 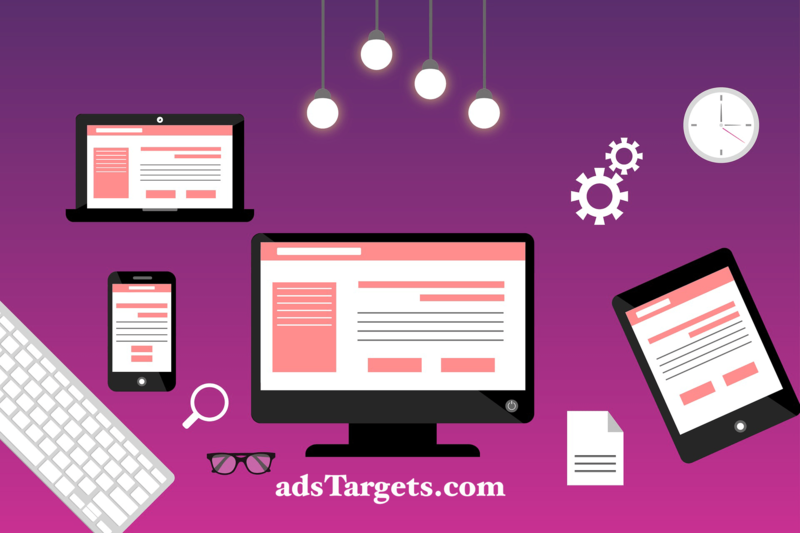 While some business professionals and businesses are successful in choosing the right online advertising company, many others are not so lucky in choosing the right online advertising company to manage and run their online advertising campaigns. An online advertising agency or online advertising companies are also known as internet advertising companies or PPC management companies are simply companies that manage internet advertising or online advertising campaigns for clients such as businesses and other business professionals. These companies also engage in various internet marketing services such as Search engine optimization (SEO) or as generally known, search engine marketing (SEM). They also include online advertising companies such as Ad networks like AdsTargets and Advertising giants such as Google Ads, Facebook Ads, LinkedIn, Yahoo Gemini, Bing Ads, Twitter and so on. How to choose among online marketing companies? We may use an online marketing agency or online marketing companies both, in essence they mean the same. Both terms refer to companies that work in a similar fashion and do almost the same tasks. These are companies that specialize in internet marketing as mentioned above. The first thing you should consider is the reputation of the online marketing agency you want to outsource your advertising into their hands. This is crutial because a lot of online marketing agencies out there always claim to be what they are not. you should not just be moved by what you see written on their websites but also care to do a little bit ofonline research and see what others are talking about the marketing agency you want to choose before making your final decision. If the online marketing agency you want to choose has built some trust from their customers, you will be able to see a few comments or reviews about the company online. In many cases, if an online marketing agency is mischievous, you will also see a lot of negative comments and reviews about them and that will tell you that something is wrong and you should be careful about such an online marketing agency. Once you are able to establish that the online marketing agency is legit, the next thing that should come to your mind should be the qualification and experience of their experts. If you care about your advertising budget and money, you should also care about how you invest it while considering the ROI of your advertising cost. Outsourcing your advertising campaign to people who are not qualified or have little or less experience with online marketing will endup been a waste of money and time and in some cases ban from search engines. What you can do to avoid this is to ask questions about the profiles of their experts, if they are not available on their website of the online marketing agency. They should be able to provide you with the profiles of their experts for you to evaluate and make the final decision. This might be very important if you are outsourcing services such as search engine optimization (SEO). First, an online marketing company that claims it offers SEO services should have an update and killing website with at least a lot of quality backlinks, great content and social signals. this is leadership by example, is just like saying, someone that never made million should not teach you how to make millions. an online marketing company that is able to show such metrics, including their website speed, traffic and security should send a good signal that they know what they are up to. It is important to evaluate the list of activities and process they offer to achieve your internet marketing goal. Do they have activities that aimed at specifically achieving your online marketing goals? Do they have experience working in your specific industry or niche? you should ask these questions to clearly understand what they are going to do at each given time in order to achieve your digital marketing objectives. Now, this should be a concern also… this means understanding how accessible the online marketing company or an online marketing agency you are about to hire replies to your emails, phone calls and also the manner in which they do reply to you. If the internet marketing company you want to hire has broken communication, it should be in your best interest to NOT engage or trust your internet marketing with such a company. Internet marketing companies should be able to show the results or list websites they have worked on before, if they don’t, ask for their past works and take your time to evaluate them your self. Doing so will save you a lot of trouble and give you an insight about the outcome of your outsourcing. You may even contact those website owners or those businesses to ask if really the online marketing agency you about to hire actually work on their website and their internet marketing campaign. Try to have an understanding of the tools they are using to analyze your website and create your internet marketing campaigns. if they are using the most innovative and prominent internet marketing tools, they are good to go and you can trust them to deliver. If they are not able to give you the list of their internet marketing tools and also ad networks they are planning to use in running your online advertising campaigns, then you should ask your self if it’s worth taking to risk to trust them with your website and internet advertising campaigns. Choosing an online advertising agency is not an easy thing and require a thorough check. you should take your time and make sure you get it right as your online success depends mostly on your internet marketing and online advertising. We ask you to share your online marketing experience and the best online marketing agencies you know in the comment section to help us update the list.